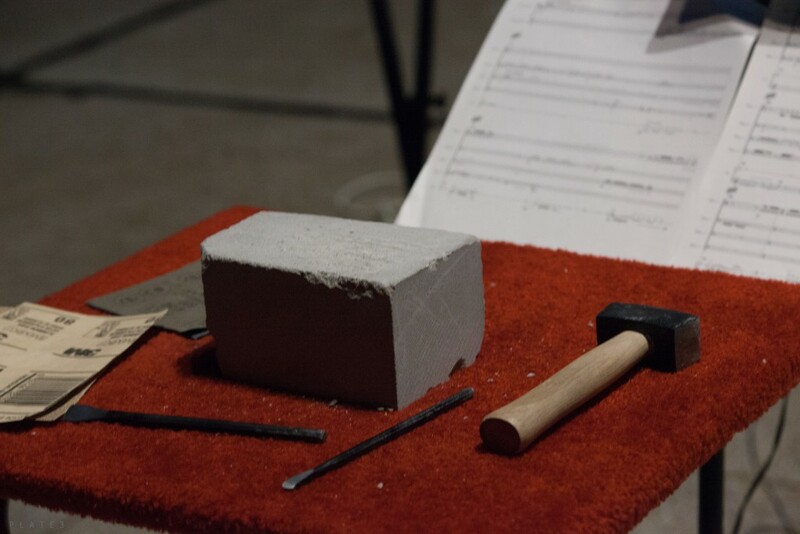 instrumentation notes: the percussionists require 4 blocks of limestone (see note below), 3 stone hammers, 5 stone chisels (all metal), 1 – 2 rasps, and several grades of sand paper (80, 220, 400, 600 are suggested). The cello part requires extensive col legno playing and it is suggested that a wooden dowl (~ 1/4 inch thick) is used for these passages. The limestone blocks may be any convenient size – the sound depends little on the size of the block though larger blocks create a stronger visual effect. For the premiere performance we used four sizes ranging from about 10x6x6 to 4x2x2 (in inches). These were scrap blocks that a local stone supply store allowed us to salvage. 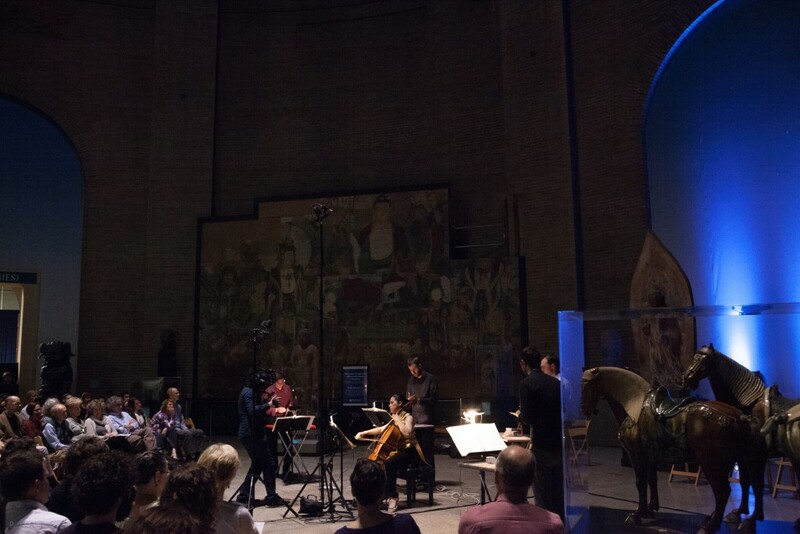 Limestone was Commissioned by the University of Pennsylvania Museum of Archeology and Anthropology with support from The American Composers Forum (Philadelphia Chapter). 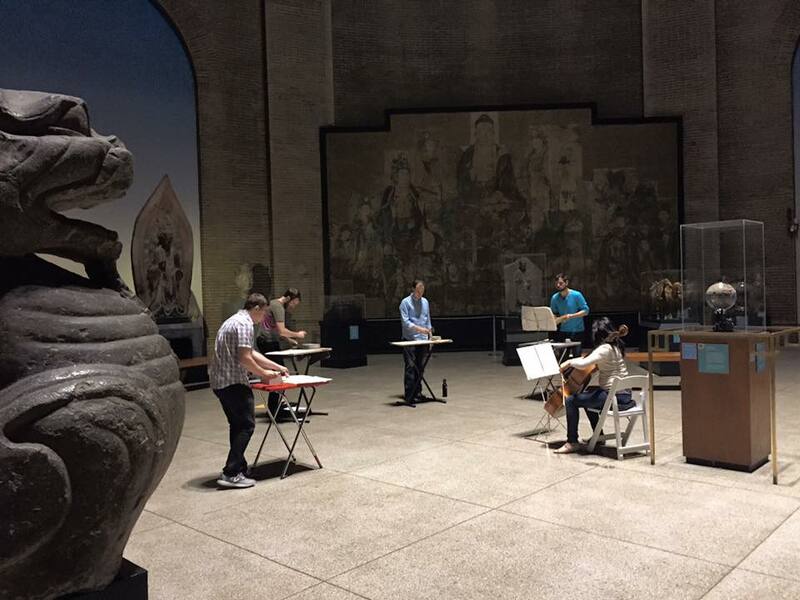 It was premiered in the Penn Museum’s Chinese Rotunda (Philadelphia, PA) on April 26th, 2016 by cellist Christine Lamprea with percussionists Ted Babcock, Eric Derr, Thomas Kolakowski and Andy Thierauf. 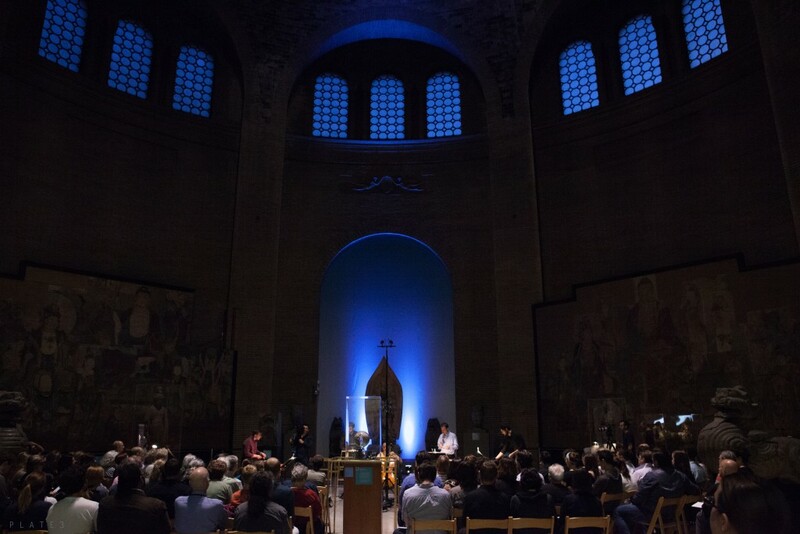 Limestone was written as the culmination of a residency at the Penn Museum of Archaeology and Anthropology, administered by the Philadelphia Chapter of the American Composers Forum. The different rooms and spaces of the Penn Museum felt to me like an essential part of the museum’s identity: the experience of this museum is not just about the artwork. Though the museum houses some very impressive pieces, including a 15-ton, 3000-year-old Egyptian sphinx, I found myself returning repeatedly to the Chinese rotunda, with its soaring 90-foot tall stone dome and large scale Chinese art. These grand piece also contained surprising moments of tenderness: a gentle moment between a man and his horse, for example, on one of the large Tang dynasty horse reliefs, and the contrast between the simple, common material of limestone and the beauty and communicative power of these works of art was particularly striking. The acoustic of the Chinese rotunda makes an immediate impression. Sounds fly through the space with ease, and bounce back in unexpected ways. It is an incredibly live space, though not soupy like a cathedral. 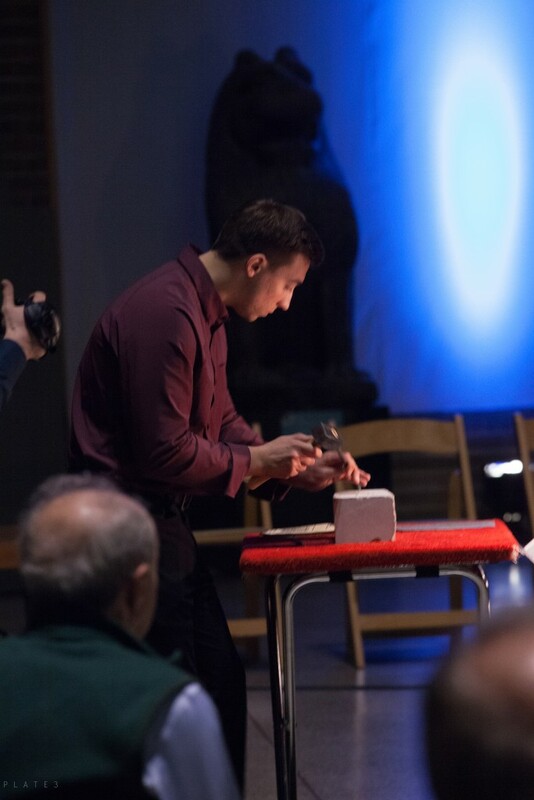 Perhaps because this space that focused my attention on sound, I began thinking about the moment of creation: the process of carving impersonal blocks of stone, imbuing them with meaning and emotion. In particular, I wondered what the making of these pieces would have sounded like. 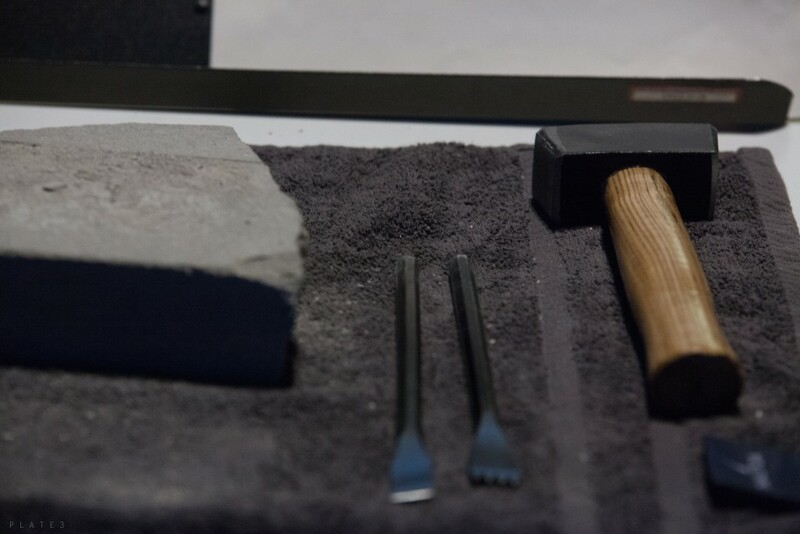 The basics of stone carving with hand tools have not changed much over the centuries – perhaps sound would be a way to connect with these sculptures? Limestone uses the sounds of stone craving as a starting point. The four percussionists use hammers, chisels, rasps, sand paper, and blocks of limestone as their percussion instruments. As I worked on this piece, I realized that stone carving was also a metaphor for my compositional process. 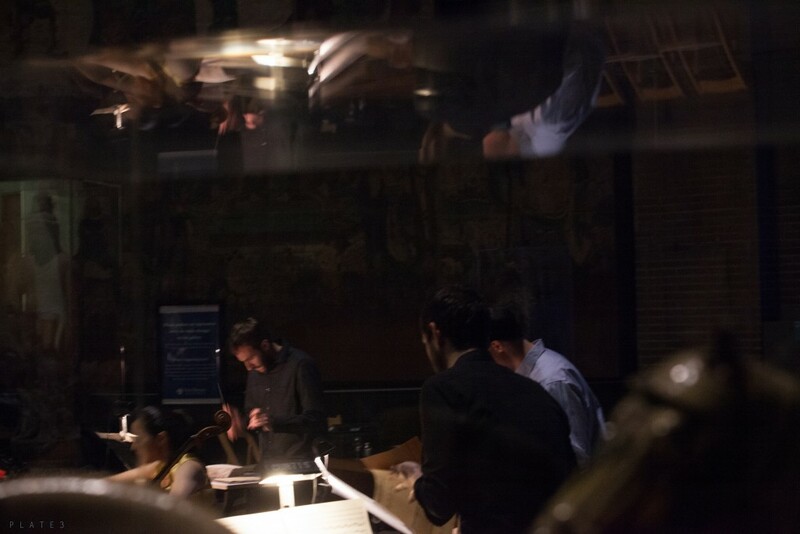 Rather than beginning with a concentrated musical idea and developing it, I was presenting the audience with a chaotic jumble of sounds, and gradually refining it, removing what I did not need in order to expose something beautiful and tender. 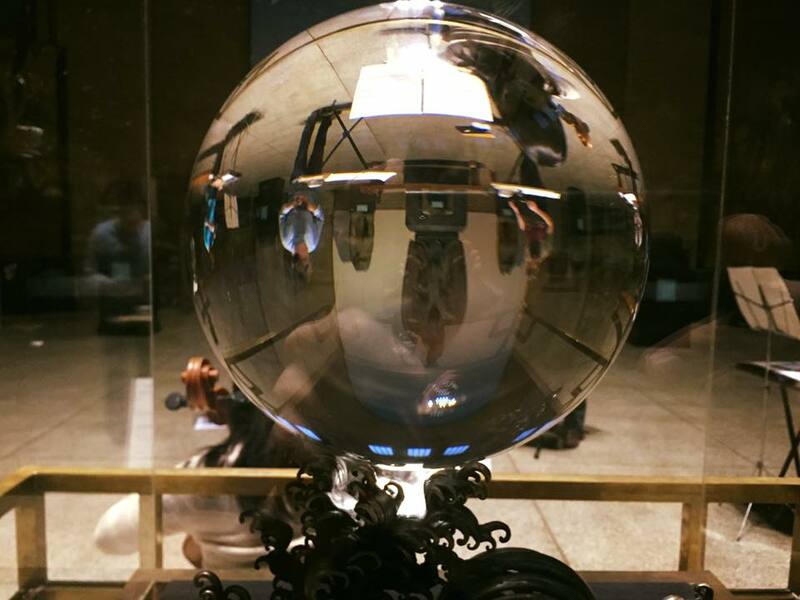 The cello became my aide in his process, initially imitating the sounds of the percussion instruments and blending into their textures, but gradually emerging as a lyrical, solo voice, like a sculpture carved out of a mass of stone. Written in two movements, the performance time is approximately 15 minutes. 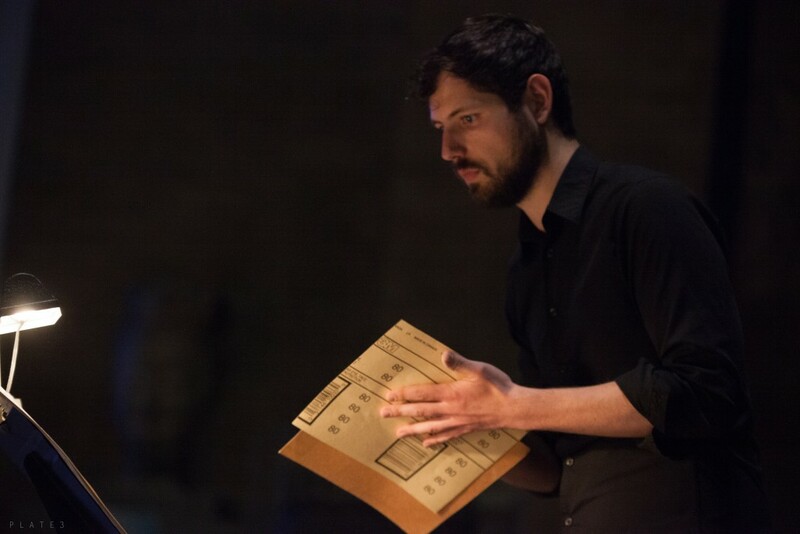 Lembit Beecher’s Limestone kept the sound vocabulary small, with four percussionists working with sandpaper and similarly non-booming but busy sounds, suggesting the chiseling that created the winged-lion sculptures nearby. 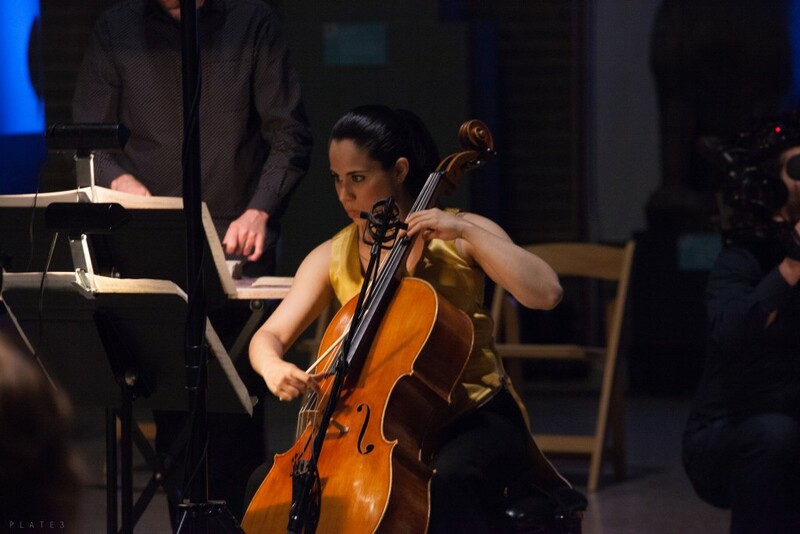 Cellist Christine Lamprea was central in the unconventional narrative: Tapping the strings with a small stick yielded spare, insinuating, Asian-accented melodies. 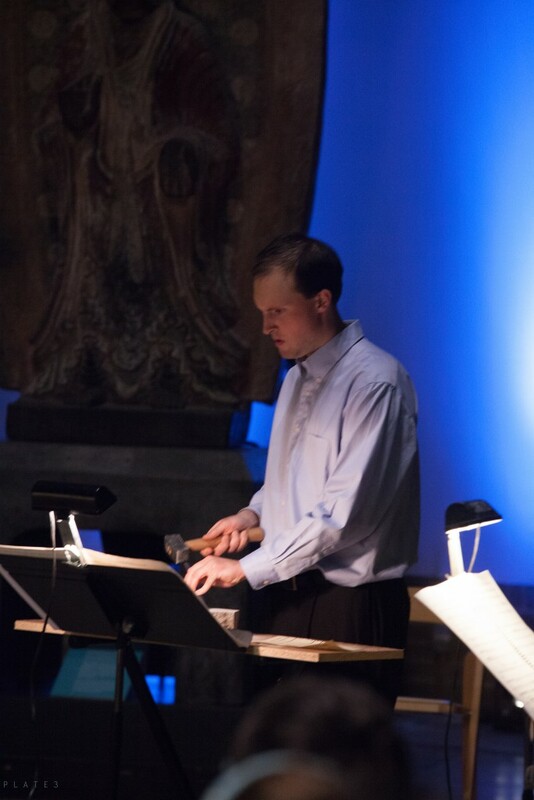 More traditional bowing of the instrument yielded not notes but more abstract sound shapes. Both polarities mixed and morphed as the piece went on, creating an attractive overall shape.